Perfect illustration of the way media works today. 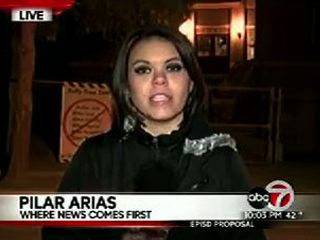 Today in State of the Media news: as reported yesterday by our sister site TVSpy, a local TV journalist in El Paso, Texas perfectly illustrated the current iteration of media relations by thanking a PR team for her own “scoop” while reporting live on-air. I’ll have a report you WON’T want to miss tonight on @abc7breaking at 10. The subject of the report was the El Paso Independent School District’s plans to merge two different elementary schools — a plan that the school’s own internal comms team obviously pitched to local journalists. This is an isolated incident, and investigative journalism is not dead. But its vital signs aren’t looking so great.